Apple does the ‘Scroogle’ too! So my friends in the Microsoft ecosystem have been getting a little defensive of some of my comments on their latest baby, Windows 10 privacy. I will repeat what I have stated already to rationalise this as there is a lot of scaremongering going on over this so I get the frustration. Yes there are those both pumping this up for no better reason than to put down some good tech, but conversely there are those dumbing down the underlying implications of what is actually going on. On an individual basis you will need to make that judgment yourself. Trying to step aside of the tech politics and view this in the round I keep coming back to the sad reality that the basis of concerns are largely correct. Microsoft has reversed its moral high ground stance on data harvesting and joined the Facebook, Google, Amazon feeding user data feeding frenzy. See my earlier blog on this ‘Microsoft doing the Scroogle’. So to play fair I have done a similar analysis of Apple Mac OSX. If you think that seeking privacy in the Apple camp (Orchard) think again ‘fanbois’. Apple is at it as well, and does not come out smelling of roses. They have their own fair share of sneaky tricks. The most notable being to over-ride the flagging of the tracking data toolbar even icon if a user elects to have one displayed whenever the system accesses their location. Apple officials said that too many notifications could de-sensitize users, piss them off more like! 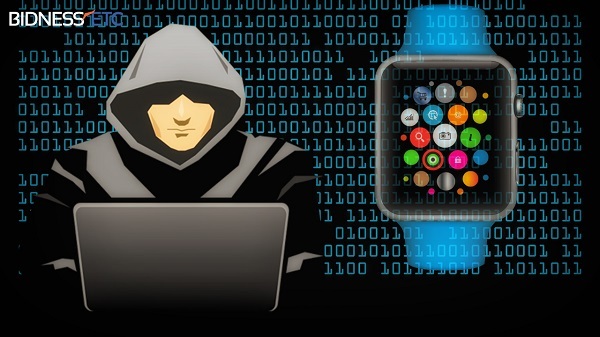 Bad Apple, or should I say rotten …..
Mac OSX may not have quiet the same broad spectrum of monitoring and persistent tricks as Microsoft has been implementing, but there are a few worth dealing with if you are so concerned. Visit the Washington Post Video for a nice synopsis ‘How Apple’s OS X Yosemite tracks you’. Spotlight and location tracking are the two main privacy concerns in OSX. Spotlight can download relevant Web pages and Wikipedia articles about the topics covered by a search query, revealing potentially sensitive information about a user’s activities to other Web sites as well. Apple officials said that query and location information is shared only with the Microsoft search engine service Bing (Microsoft getting in on even Apple users data), and that it is contractually prohibited from using that information for advertising or developing user profiles. Well I trust little when it comes to advertising and marketing statements like that, you will have to make your own judgment. Despite which the remediation is a lot simpler for Apple Mac users than their Microsoft Windows 10 (and latterly v8 and 7) counterparts. For more tracking information on Mac OSX and how to fix it visit ‘Fix MacOSX’. Oh yes if you are running any other iOS devices, Apple adopts the same tricks in those as well. So go check out your respective iPad/iPhone settings for Privacy of mind.